It is important to have dorm room decor that you love and is meaningful to you. Making your dorm room feel like a home away from home is important not just for looks and to share your interests and make new friends. Those things are important for your dorm room decor, but the most important function of your dorm room decor is to help beat homesickness. When your dorm room feels like a second home to you, you will feel like you belong at college and it will help you succeed in college. 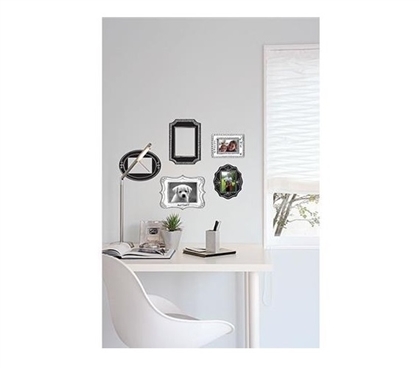 To help beat homesickness with your dorm room decor, the the perfect addition to your dorm essentials list is our Peel N Stick Sketch it Frames Wall Art. 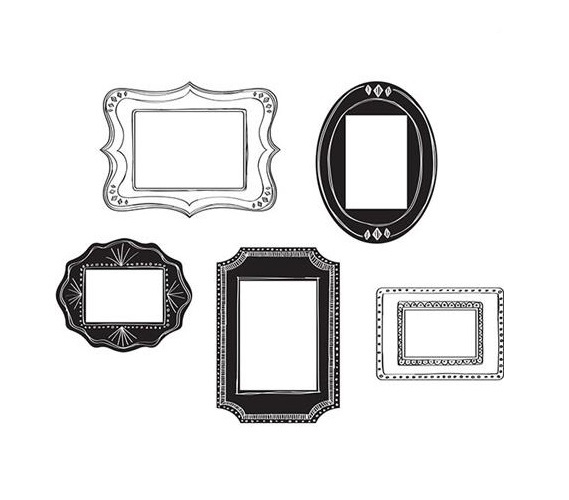 Our Peel N Stick Sketch it Frames Wall Art comes with five frames that all have different designs to add to your dorm room decor. You can stick pictures of your family and friends from back home onto your dorm room wall to cut down on loneliness from being away from home. Keep your dorm wall art by your bed or by your desk to help you through the tough times when your homesick. What better way to have your dorm room decor help you beat homesickness than by having pictures of your loved ones be a part of your dorm room decor! Peel N Stick dorm frames are a great option for having pictures of loved ones be a part of your dorm room decor. Large, bulky physical frames that you can place on your dorm desk or college nightstand aren't a practical option for college as they take up a lot of space. Don't lose out on having pictures of your loved ones at college - keep them in cute dorm Peel N Stick frames!